The billing section found in the navigation menu is where you can download monthly bills, and see an itemised list of all calls. 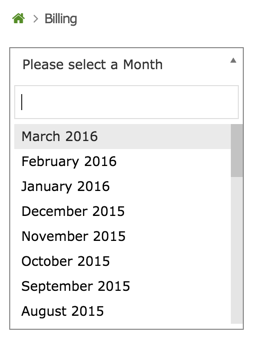 When you reach the Billing page, select a month from the dropdown menu. The report can be downloaded by selecting 'Download CSV' or 'CSV Ultrasoft'. These will save to your download folder.